These are exciting times for the packaging industry, with many events lined up to round off this year. The Printing Technology and Innovation Days for Flexible Packaging, to be held from 19-20 September 2018 at Rajkot, Gujarat, will focus on emerging trends and new technology in the flexible packaging industry. Experts from the flexible packaging segment will make presentations; it will be followed by panel discussions pertaining to each topic of the session. Labelexpo Americas 2018, a prestigious event for the label and package printing industry in the Americas, will be held from 25-27 September at the Donald E. Stephens Convention Center, Rosemont, Illinios, a suburb of Chicago, USA. Moreover, the event will showcase live demonstrations of new technologies that cater to the growing needs of consumers worldwide. 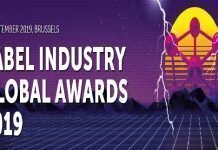 Concurrent to the event on 25 September, the Label Industry Global Awards 2018 will be organized to recognize and reward global label and packaging printing industry’s new innovations. Furthermore, Pack Expo will be organized from 14 to 17 October 2018 at McCormick Place, Chicago, USA. The event attracts corporates, engineers, production supervisors and those involved in operations and quality control. Exhibitors from 2500+ leading suppliers of advanced packaging equipment, materials, containers and automation technologies are expected to demonstrate their offering. 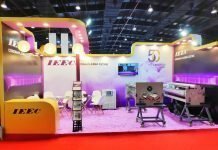 Labelexpo India 2018 is scheduled to be held from 22 to 25 November 2018 at the India Expo Center in Greater Noida, Delhi/NCR. Labelexpo is the largest event for the label and packaging printing industry. The event will comprise of live demonstrations of state-of-the-art presses. In addition, it will also demonstrate emerging new technologies, finishing units, inks, dies and substrates from leading manufacturers in the labels industry.